Most wavy or curly-haired women long for silky straight locks, given how smooth and manageable straight hair can be. But let’s just clear one thing, the grass is always greener on the other side. Ask any woman with straight hair and they will tell you their share of trouble that they often go through because of their jet-straight locks. Some of them complain about how lifeless their hair tends to be, with no volume and style. While others Are frustrated with how their naturally fine hair is thin and gets tangled easily. Some are also unhappy about the fact that none of the hair products give their hair the desired lift. So whether it is gel, hairspray, or sea salt, nothing provides their hair with the texture they are looking for. Here’s the good news – some of these problems and (more!) 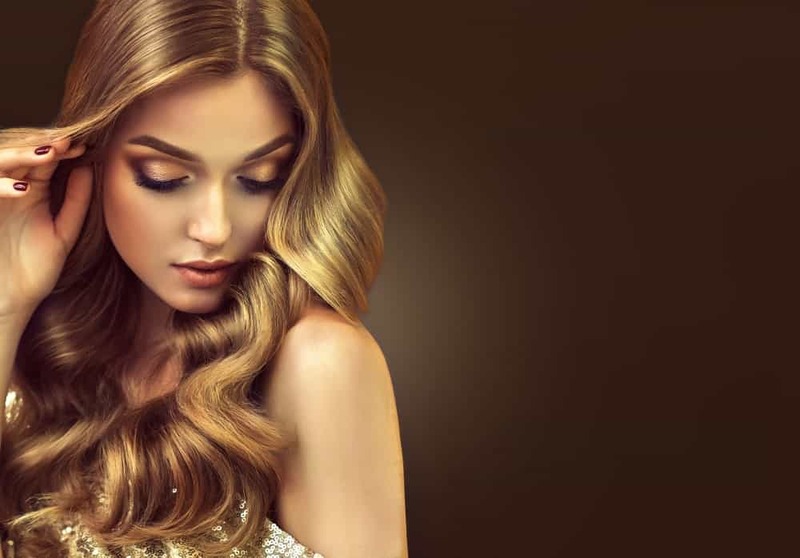 can be manuvered around by using a high-quality shampoo, which is why we have assembled some of the top shampoos that every woman with naturally straight hair will love to get their hands on. 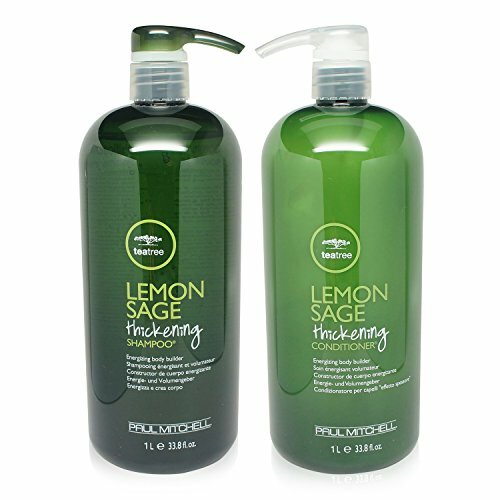 All those women who have a common query of how they can add volume to their straight hair will find the answer (and relief) by investing in Paul Mitchell Tea Tree Lemon Sage Thickening Shampoo and Conditioner. This two-in-one combo is an affordable one that comes with a pleasant scent of lemon and sage. They will thoroughly cleanse your hair and make it stronger and thicker in no time. What’s so great about this product is that this shampoo also helps detangle your hair and hydrate it with its terrific formula. Seriously, it’s worth your money! This naturally deprived shampoo from plants and non-petroleum mineral is a shampoo that every woman with straight hair must have. The reason why we are encouraging you to get this uniquely formulated shampoo is due to the fact that it helps add volume to your hair without stripping it off its natural oils. The addition of delightful herbs such as rosemary, spearmint, and peppermint makes it quite invigorating. But that’s not the only great aspect about these herbs; in addition to offering aromatic scent, they thoroughly cleanse the scalp and protect it from environmental hazards. Another key ingredient that helps cleanse the roots and strands of hair is white vinegar. Don’t worry, it may be slightly bitter but it is totally gentle to your hair. If you are someone who has color treated straight hair, then this is the shampoo just for you. While it protects your hair from discoloration, it also helps add sheen and volume. This shampoo will guarantee you good riddance from thin, dry hair as it helps thicken and hydrate each hair strand. You will be as happy with its result as one can be, and that too after only a couple of washes. Its unique formula helps lock in moisture and softness that prevents your hair from tangling. What’s more is that its anti-fade complex technology boasts the vibrancy of your hair color. In other words, your hair shade won’t fade away anytime soon and you will enjoy thick, soft and vivacious hair. What a pity it is to have straight hair but them not being attractive at all. Are you wondering if thats even possible? Of course, there is and one great example of it is having straight, bristle hair. Straight hair is no fun if it isn’t sleek as well as shiny, and bristle hair is anything but smooth and silky. Most women with straight and bristle hair find it tough to manage their hair since it is visibly too dry and rough. Such hair also indicates damaged hair follicles that need to be repaired to bring your dead hair back to life. 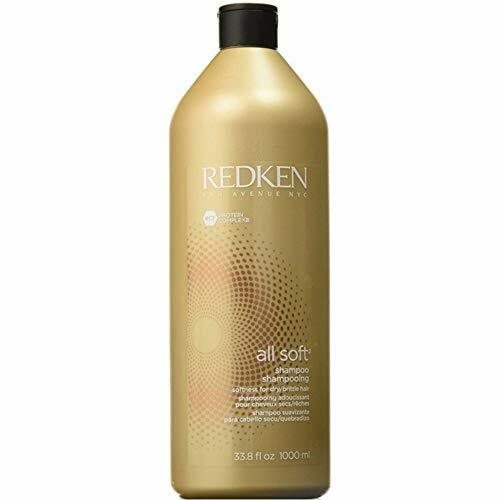 This is why we recommend the use of Redken All Soft Shampoo as its Interlock Protein Network (IPN) technology targets dryness and makes your hair soft and shiny. 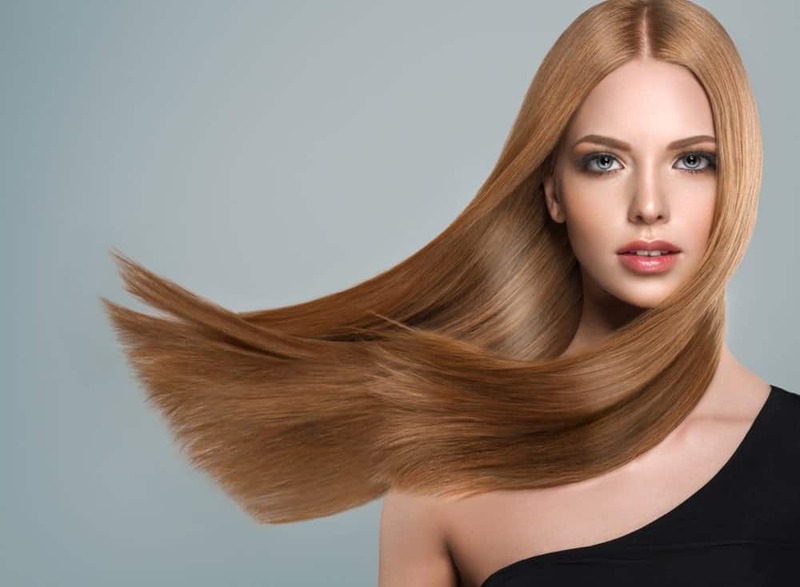 As women with naturally straight hair age, their hair tends to become thinner than ever. No amount of product helps give their hair the much-desired bounce. 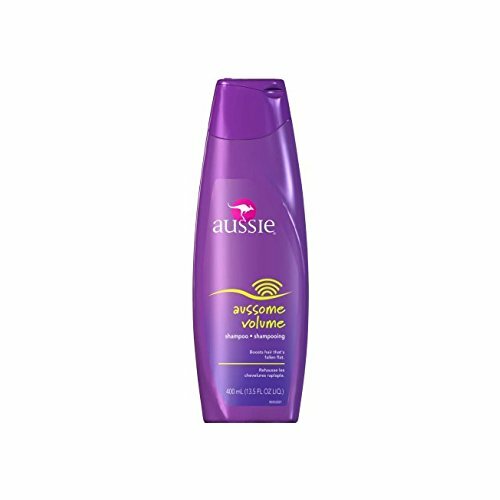 But you won’t have to deal with this issue if you add Aussie Aussome Volume Shampoo to your hair care routine. As the name suggests, it will, indeed, give your hair “aussome” volume that will make you want to flaunt your hair. This light-weight formula is made of a wide range of marvels like aloe vera, Australian balm mint, Australian blue gum leaf extract, Australian blue mountain blend, Australian Ginseg, Australian ginger to name a few. 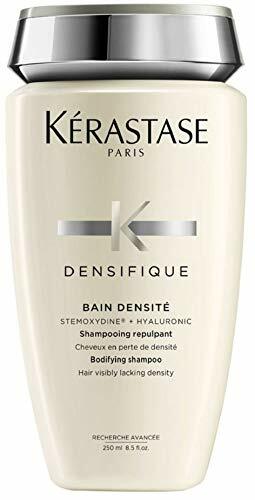 If you are leaning towards a more luxurious hair care line for your thin straight hair, then Kerastase Densifique Shampoo is a great option to consider. This shampoo is well-known for thickening fine locks instead of just adding volume to your hair. This means that what hair oils generally do – make your hair thick naturally – can be easily achieved by shampooing your hair with Densifique twice or thrice a day. Making your hair thick and strong is not the only quality Kerastase offers. This rich shampoo also hydrates the hair without letting it weigh down. This shampoo will also give a dose of Hyaluronic Acid that locks in moisture and makes your hair plump and thick. The blend of Gluco-Peptide and Ceramides further gives a fuller texture to your hair, making it appear bouncier than ever. Many factors contribute to the drying of hair such as the harmful UV rays, the regular use of heating tools, and dyeing your hair, etc. All of this may end up making your hair rough and lifeless, making you wonder where you went wrong. But there is nothing to worry about if you have R+C o Atlantis in your possession. This shampoo does wonders for your hair as it helps make your locks soft and moisturized. 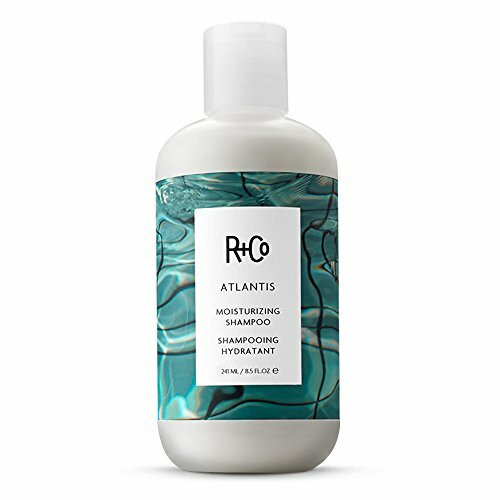 This vegan and cruelty-free shampoo is specifically designed for moisture-deprived straight hair. So nourish your hair by applying Atlantis from your roots to all the way to your hair ends. Its active ingredient that plays an essential role in hydrating rough and damaged hair is Babassu oil. This vegetable oil livens up your hair from roots to their ends. Witch Hazel helps maintain the hydration level while rosemary keeps the scalp’s health strong and build-up free. For the co-friendly lot, Live Clean Coconut Milk Moisturizing Shampoo – made from plant-based ingredients and coconut oil – will prove to be the best purchase ever. But that’s not the only commendable thing about this product. You will also love it for its potential to moisturize your hair a 100%. What’s great is that you won’t find the need to apply the conditioner afterwards. With the use of shampoo alone, your hair will become soft and silky! This body-building shampoo is formulated by a certified trichologist, which means that you can totally depend on this one if not others. This product promises to lend your hair the gorgeous volume that you have only dreamt of until now. Its lightweight formula is gentle to your scalp which means it won’t be irritable or cause any sort of damage to your hair. In fact, it will end up cleansing your hair and making it soft and smooth. Bonus: It’s perfect for color-treated hair as well! Alterna is a brand that is well-acclaimed for its natural and organic formulation which is why it is loved by many. This shampoo contains natural bamboo which delivers on its promise to provide various hair benefits. One of them is adding volume and thereby strengthening hair locks. The use of its conditioner will be an added-on benefit as it helps make hair shinier. There is clearly no shortage of incredible shampoos for straight hair on the market but put your trust on one of these and you will be amazed how gorgeous your hair will turn out.